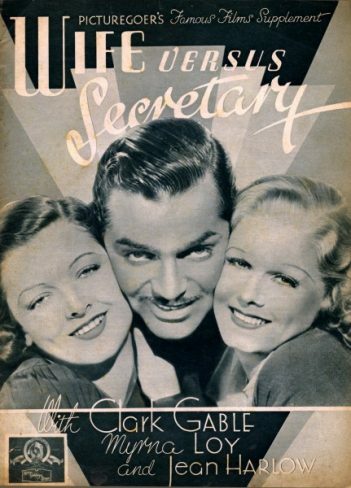 Wife vs. Secretary (1936), directed by Clarence Brown, is a MGM romantic comedy starring Clark Gable, Jean Harlow and Myrna Loy. Wife vs. Secretary is a perfect example of Hollywood gloss, with three topnotch stars towering over inferior material. Harlow is particularly good in this tale of a secretary who becomes invaluable to her boss, Gable, causing complications in both their lives.